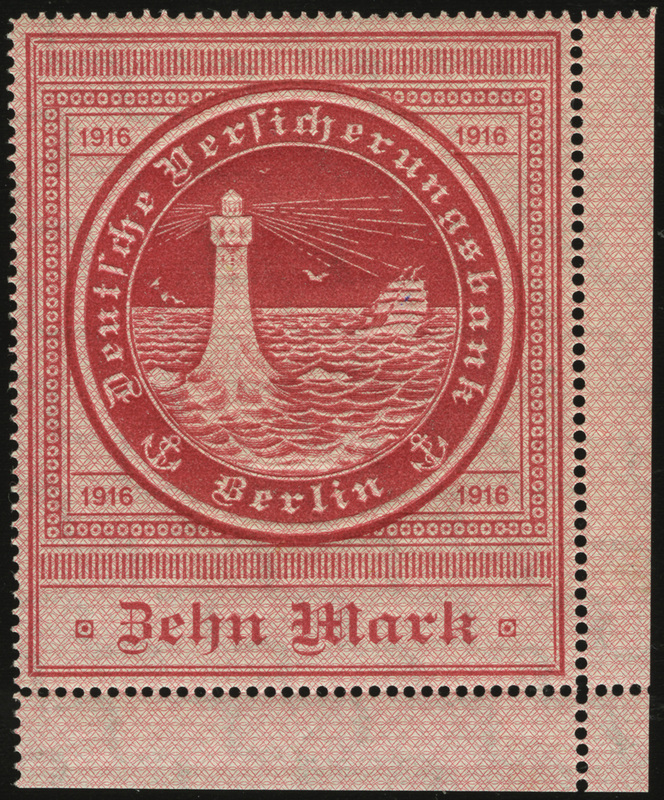 The Deutschland made two voyages to the U.S. In the summer of 1916, she delivered a cargo of chemical dyes, medical drugs, gems, and mail to Baltimore, Maryland, then returned to Bremerhaven with a cargo of nickel, tin, and crude rubber. 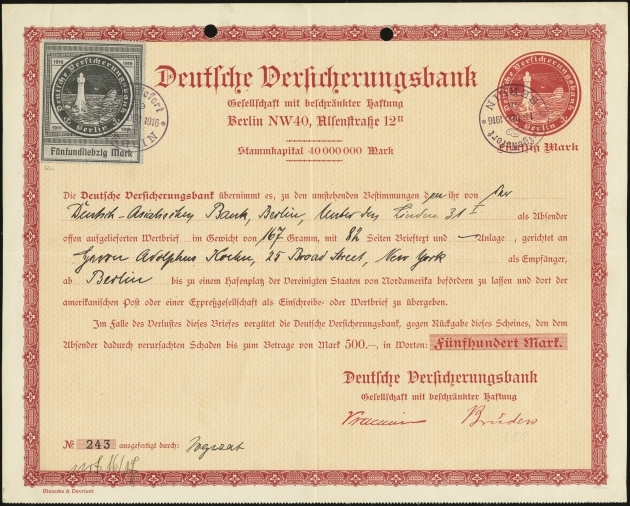 In the fall of 1916, she delivered a cargo of gems, securities, and medicinal products to New London, Connecticut, and returned with a cargo of silver bullion. 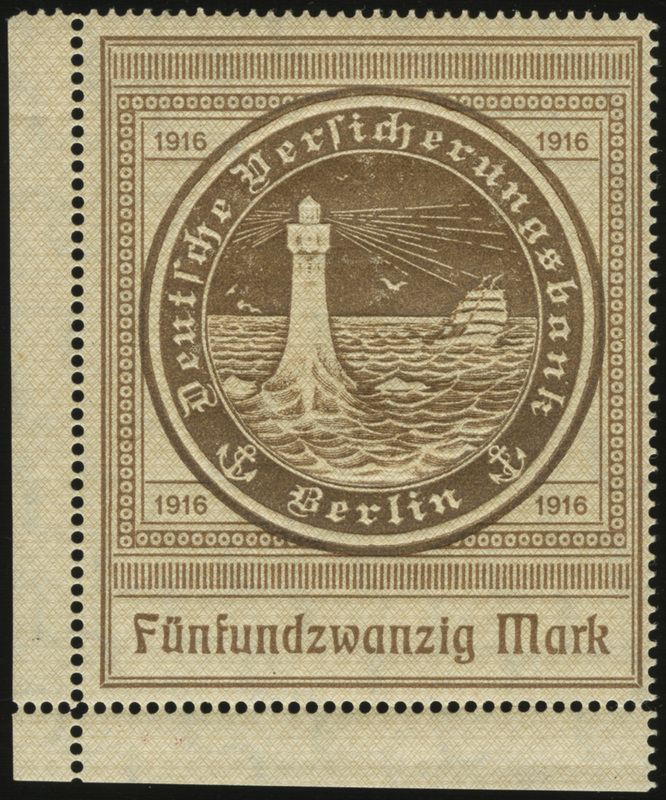 Before the Deutschland could embark on a third voyage, relations between Germany and the U.S. deteriorated significantly, so she was converted to an armed U-boat, the U-155. 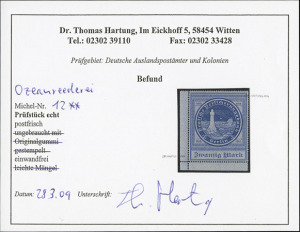 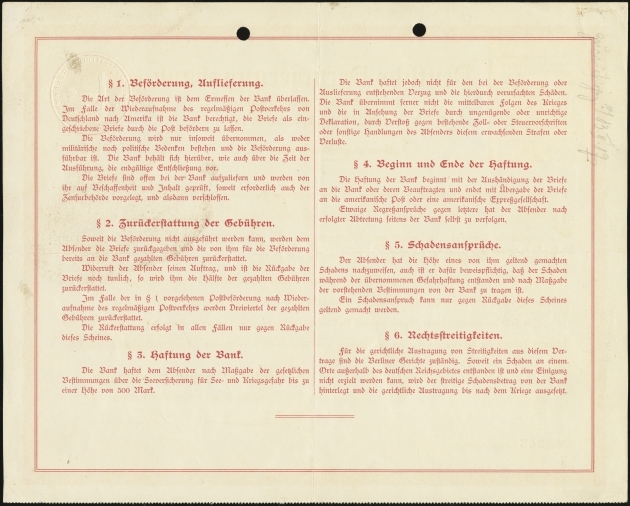 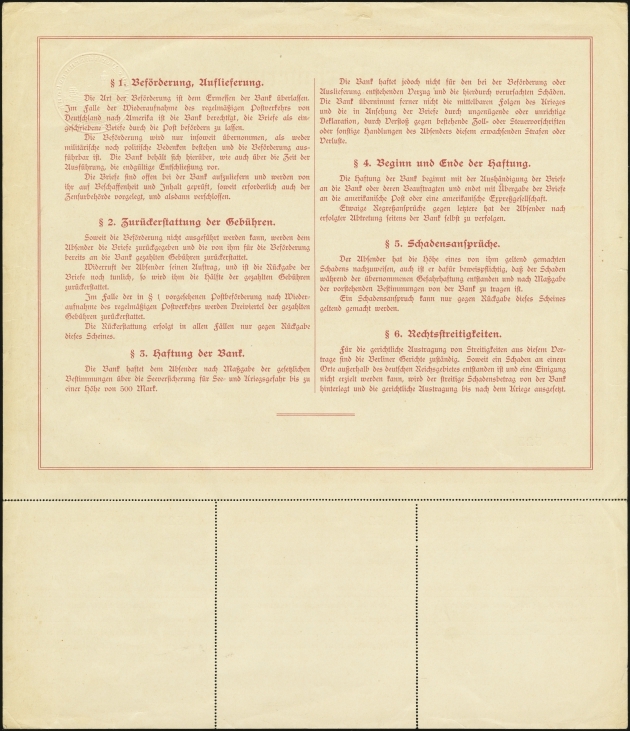 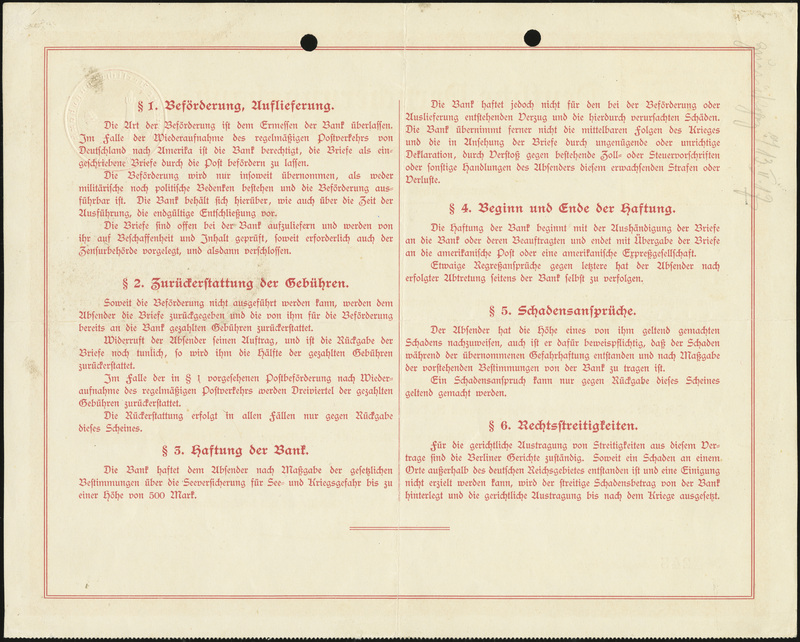 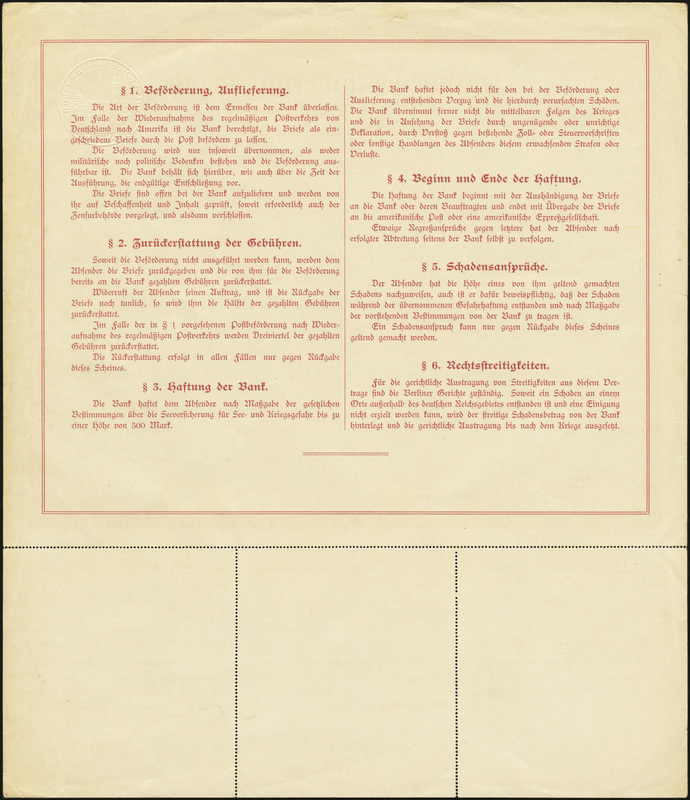 To mail an item via the Deutsch Ozean-Reederi, the sender had to bring the mail to the Insurance Bank offices in either Berlin, Hamburg, or Bremen. 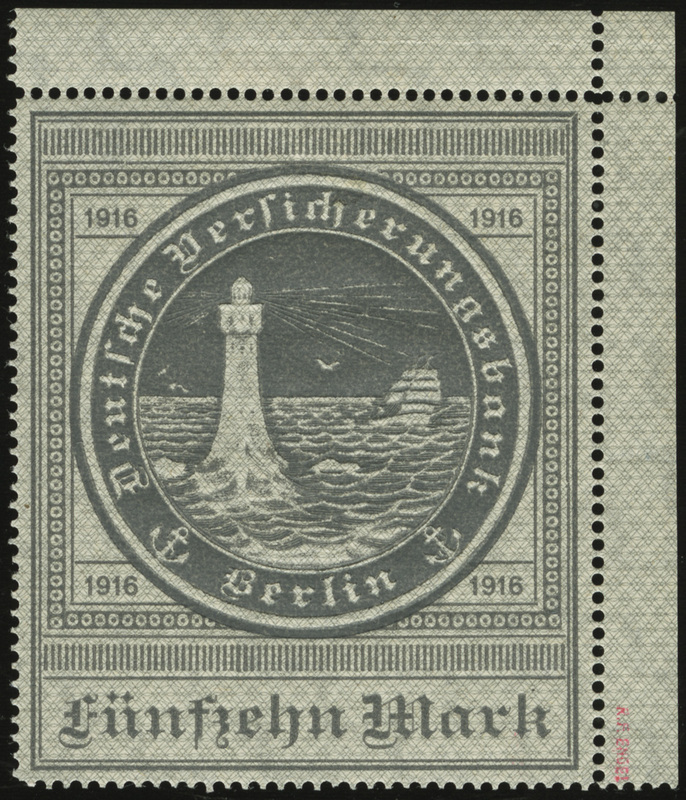 The Insurance Bank would then issue an insurance certificate which bore an imprint of the 50 Mark Ozean-Reederei design, and which was valid for mailings up to the 50 Mark rate (up to 50 grams). 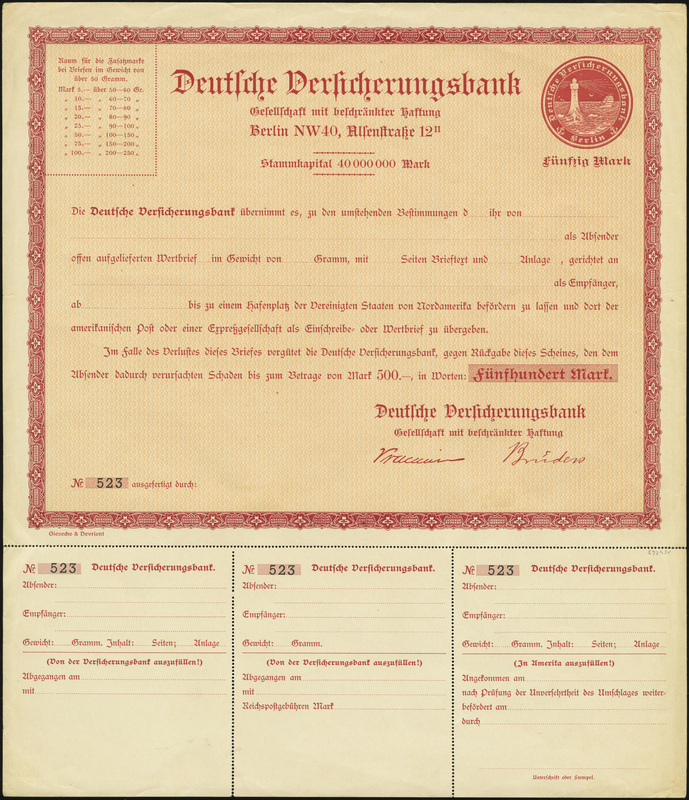 The certificate had three detachable coupons, one each for the insurance bank, the agency bank, and the sender. 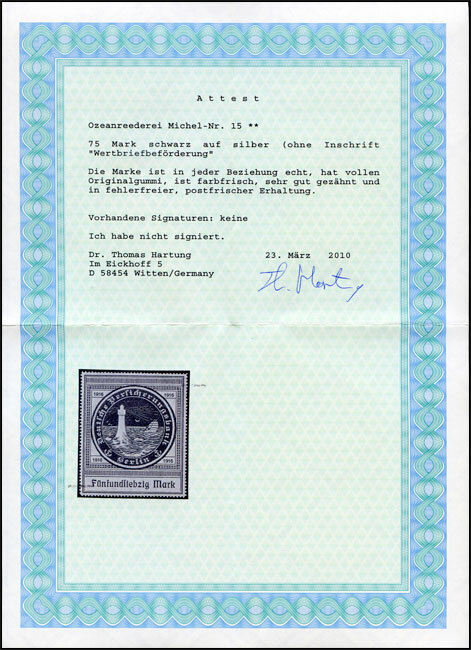 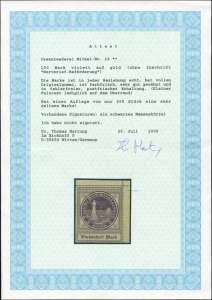 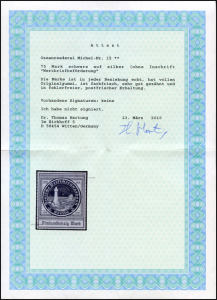 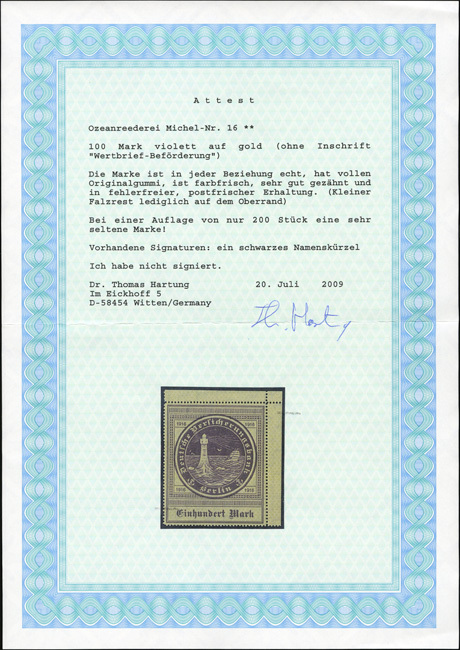 If the mail or package required more than 50 Marks postage and insurance, a separate insurance stamp was attached to the insurance certificate to cover the difference. 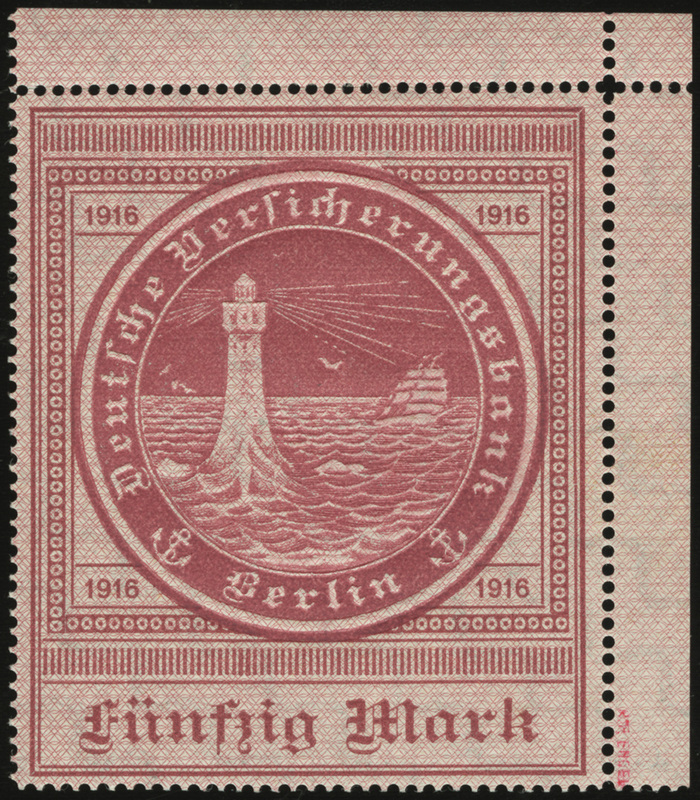 The normal issues of these stamps bear a rising step watermark (“X” suffix). 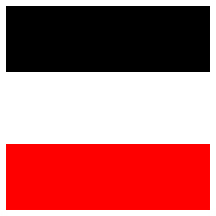 However, two values can be found with a falling stair watermark. 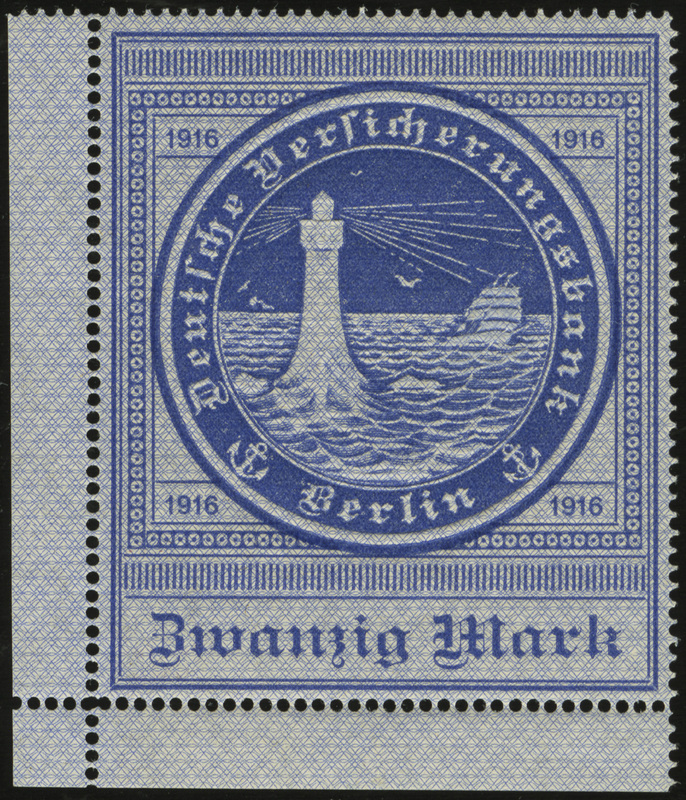 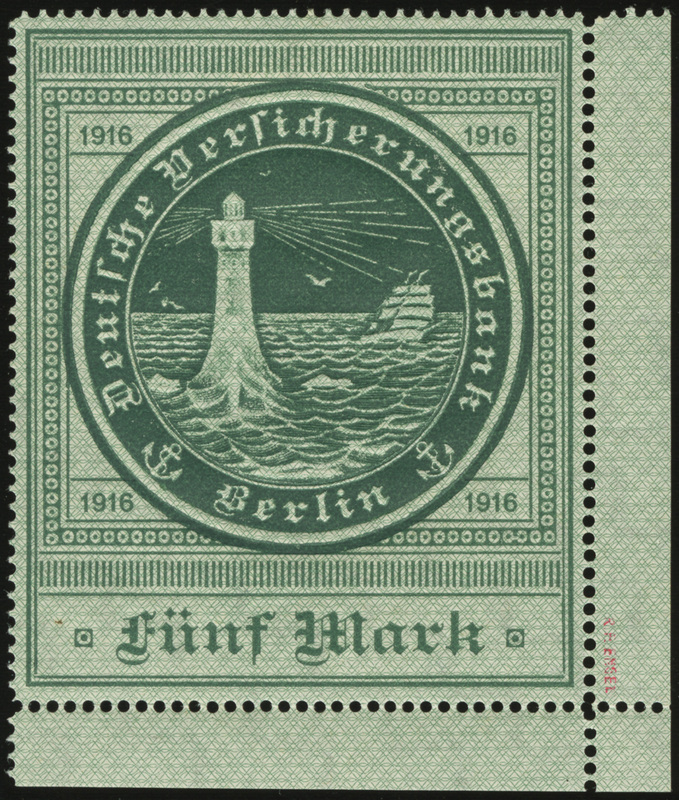 The second set of Ozean-Reederei stamps differs from the first set in that they do not have the inscription “Wertbrief-Beförderung / Deutschland-Amerika 1916” (Insured Letter Carrier / Germany-America 1916). 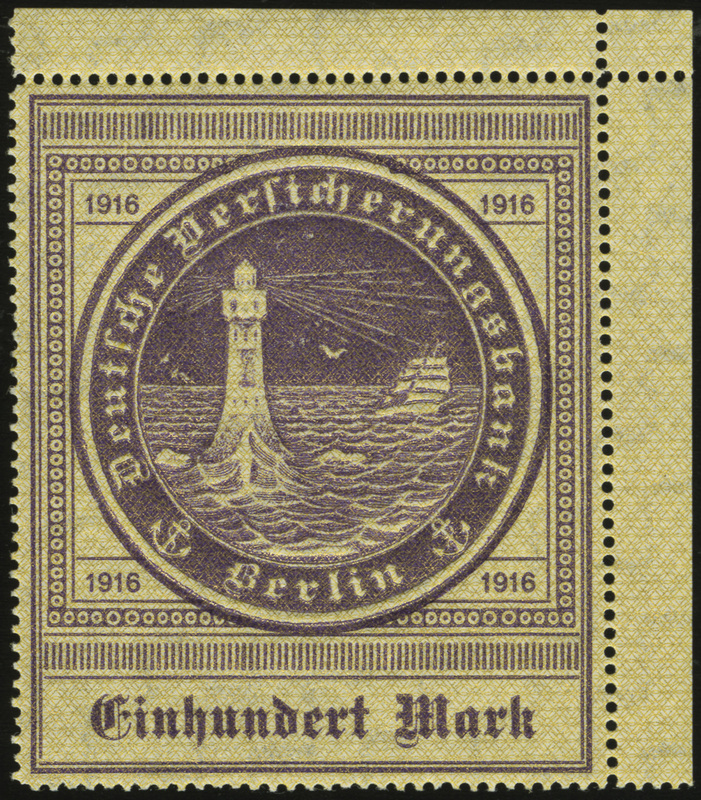 They also feature a watermark of oblique wavy lines.